…it will want a glass of milk. If you give Joanna a project, she will find 300 other tasks to complete as well. This is the only possible explanation I can come up with for why I haven’t written a post or touched my novel since late September. I know that November is National Novel Writing Month (NaNoWriMo) and I didn’t have any delusions that I could commit to 10,000+ words a day. I do have a plan to have my own type of challenge- I want to be at 30,000 words by the end of the month. I’m at 12,000. I know with real NaNoWriMo you have to start from 0, but this is the Joanna challenge. So today and the long weekend of Thanksgiving I plan to force myself to get this done. I want the novel finished (for me, not edited) by the end of the year. It would be great to have a Spring release date. Just an update (if you follow my Facebook page you’ll get more timely updates)- I did my first craft fair (I’m not too crafty), gave a talk on Moral Injury in Charlotte, NC and was able to see Dad for Veterans Day. I’m trying to prepare for Christmas and all the trappings of that. I’ll keep this brief because I really want to get some words in today. Today started out like a regular Thursday for me- morning appointments with clients, then planning to have lunch with Dad before returning to work to meet with afternoon clients. Dad said last night he wanted to eat at a sort of underground pizza place. He was craving “sweet pizza”. While we ate we talked, about his recent trip with my mom to Philly, about his group meeting today, and we reminisced. We talked about when Spinner’s was Garro’s and I would beg to eat there after school on early release days. (Garro’s was not located far from school.) We laughed about how my little sister would always whine that she wanted McDonald’s but we could convince her to go to Garro’s by telling her she could sit at the Pac Man table. Yes, its still there. A table with a Pac Man game built into it. As we left, we had to pass the cashier. “We’ve already been taken care of,” Dad announced to her. She smiled and replied, “yes, sir.” I stopped and asked her if she knew anything about our benefactors. She seemed hesitant. “I know they are car salesman,” I supplied. She hesitated for a minute and said I think they work at “—- Ford*”. I want to thank those two men who don’t know us and still paid for our meal. You saved us fighting over the check and I think your random act of kindness deserves recognition. If, by chance you are reading this, please email me or get in touch with me through this blog or my facebook page. I imagine you didn’t do this for recognition, but I would like to thank you personally and let your boss(es) know what great people you are. I try to keep politics out of this blog, but let me say this- with the recent acts taking place around the country many people, myself included, are finding it hard to “hunt the good” in this world. This act of kindness makes me realize that for all the bad that is out there, there is so much good too. *Once I can confirm that they truly work at — Ford I will place the name of the dealer in this blog. What do you think of when you hear or read the word PTSD (technically, the acronym PTSD)? Do you see a grizzled old combat Vet like Lt. Dan from Forrest Gump? Lt. Dan definitely had PTSD, survivor’s guilt, Alcohol Addiction and a few other diagnoses I could add in there, assuming he was a real person. Maybe you see a young woman who was recently raped, afraid to leave her apartment or go out at night. That would certainly be a good candidate for a PTSD diagnosis. Most people don’t think of their Hooah*, take charge, NCO* as possibly having PTSD. (*I’ll explain these army terms below). They don’t imagine someone that does public speaking, owns their own law firm and helps victims of domestic violence as having PTSD. Why not? It’s true that not every NCO or women has PTSD. Why am I telling you all this? Because I had a personal realization this weekend. For years Mental Health Professionals have urged others to break the stigma and not stereotype mental disorders and the people that have them. I realized, while seeing my Dad “in action” at Greek Fest Friday night, that he doesn’t “look” like the typical ideal of PTSD. At this point, another man approached, also wearing a Vietnam Vet hat, shook my Dad’s hand and jokingly said “thank you for your service”. “You too!” my Dad replied, and they all shared a laugh. I began eating my lamb gyro (authentic!!!!) and in a few minutes heard glimpses and snatches of some of the same stories I told in the book, all about the food in Vietnam. I relay this story, because my Dad was not sitting in the chair, arms crossed, sulking, when my Mom and I returned with food. He was socializing with everyone around him- something I always remember about him. When my husband and I were dating he commented, “Wow, your Dad knows everybody!” He was only half wrong- my Dad knows a LOT of people, no matter the setting. He also won’t have strangers for long, the way he strikes up conversations with people he hasn’t met before. “Your Dad would be a good politician, he can talk to anyone.”, other people have told me. So PTSD might not always “look” like PTSD. The same can be said for any diagnosis, whether mental or physical. Try not to judge or stereotype. Hidden behind the biggest smile can be pain. *Hooah= an Army word that can mean whatever you want it to mean, usually, “yes” “I heard you” “Roger” or sometimes “f you”. Here, when I say a Soldier is “Hooah” I mean they are 100% about the Army, exceeding standards and being super patriotic and loyal. *NCOs are non commissioned officers. Any enlisted with the rank of E-5 and above in a NCO. In the civilian world, they would be managers, where as officers would be supervisors/owners, while Soldiers (E-4 and below) are the lowly hourly workers. The little things in life are worth remembering. There are moments in life that stir the senses. Moments of joy, moments of surprise, and moments that can cause great fear. Moments that cause us to reflect on the experiences we’ve encountered. Dive into various worlds of the author’s own making. Everyday Musings is full of tales of the unexpected, heart-warming stories, and bittersweet poetry. Come in and turn the page. Discover the little things that make everyday worthwhile. THE LEGEND passed on down from generation to generation was what folklores were made of. It started when a couple of hunters went camping in the forest surrounding the town. The first night was uneventful. The second night, as the two friends turned in for the night, a howling penetrated the woods. Wolves were not known to be a part of that section of the state. Thus, the sound caught them by surprise. The two men decided to let it slide. In their minds, the howling was nothing more than a figment of their imaginations. Several minutes later, they heard it again. The howling sounded like it was close to camp, directly from the side of their tent. Full of curiosity, they decided to check things out. A shadow, caused by the flickering fire, was cast against the canvas of the tent. The outline filled the entire canvas, its size unknown. Before they could react, claws ripped through the material. Not concerned with leaving anything behind, the two men bolted, hoping to make their escape. They turned along the way and caught a glimpse of a creature they had never seen before. It stood on two legs, a small tail swishing back and forth behind it. The creature tilted its head and stared at the men. Moments later, it howled, its eyes glowing in the moonlight. Both men ran as fast as they were able. They made it back to their truck, starting it as quickly as possible. In seconds, they were gone, leaving the unknown creature behind. The next day, the men told anyone who would listen about their encounter. No one believed them. Bringing the sheriff and other hunters back to their base camp, they found the camp in disarray. Things had been tossed about. The tent was tattered, and footprints that no one recognized were embedded in the mud. The renowned hunter, Stephen Bullock, was soon sent a casting of the footprints. Even he was stumped. From that day on, a strange howling could be heard throughout the woods. Sharon C. Williams is a native of New England raised in Northern Maine. She lives in North Carolina with her husband and son. She is also owned by a flock of six birds. Sharon has a B. S. degree in Chemistry. She loves to read, sketch, take pictures, walk, exercise, go to the movies, and listen to music. She is a budding bird watcher, and knits on the side. She is a huge sports fan of baseball, basketball, hockey, and football. She is also a shutterbug and is always looking for the next big shot. Two of her short stories were published in the anthology, Cassandra’s Roadhouse, and two in the Dragons in the Attic anthology, which was written by her writing group, The Wonder Chicks. Her children’s chapter book, Jasper, Amazon Parrot: A Rainforest Adventure, and Jasper: Amazon Friends and Family, was released by Fountain Blue Publishing in 2013 and 2015. Her comedy novel about her war with her backyard squirrels, Squirrel Mafia, was also released in the spring of 2015. I don’t really use the term “breakthrough” when I’m with a client, unless it’s jokingly. (I also never say “and how does that make you FEEL?”- too cliche) I do see the moments of “breakthrough” on client’s faces though- when they get the insight they’ve been blind to all along, or are able to break down a defense mechanism. It’s kind of a “Eureka” moment. Some clients will be able to recognize that a change has taken place. Others just feel a little lighter, like a weight has been lifted. Often there is crying (that’s not a requirement, it can be a no tears moment). Overall, its accessing deeper or buried feelings, recognizing cause and effect or achieving more insight, especially insight that affects their treatment goals. I don’t know what to call it, but I had an author breakthrough on Sunday. I was writing some backstory for one of my main characters and I got really caught up in the scene. It was almost like I didn’t have to think. As I came to the ending of the scene a tear hit my laptop. I was crying! Even though I was composing this, it was so emotional it made me cry. Now, I cry when I read certain books, but to cry while writing one? That’s hopefully a sign of good character development! If you follow my blog, you know that I have a weekly tradition of going out to lunch with my Dad, when he’s in town for his Vet Center visits. Over the past six weeks, these lunches have expanded to include several other Veterans that are from his group. They are all Vietnam Vets, and they are all an endless source of information about the war. They always want to eat Mexican food (not a problem with me!) and the one time we strayed for barbecue, while it was enjoyed, everyone agreed that it would be back to Mexican food the next week. Lunches are even more fascinating with multiple war stories from the Vietnam era. I would love to say it would be enough for another book. There’s one problem. I hear the same stories every week. This leads to reminiscing and quite often, the same stories. Dad loves to talk about Cuban Revolution in Durham, a place he often eats before Durham Bulls Games. Dad: Oh, you should have seen the steak they gave me, so tender! Veteran: Where is this place? So I’m sorry to say that these lunches will probably not lead to a volume 2 of the book, but they will give me awesome memories and invaluable time with my Dad and other Vets. Side note- Dad will not eat “not authentic’ Mexican food (Sorry, Aye Toro! in Sanford) but he will eat at On The Border. Can anyone explain this to me? I don’t consider myself as having a sheltered life. I also don’t consider myself to have a very un-sheltered life either (there are no antonyms for sheltered that fit). I’ve not seen combat or been in the military, but I’ve been exposed to it all of my life, grown up around it and live in an area that is teeming with Military. I used to (naively) think that there was only Army (and a little Air Force) here at Bragg. I learned quickly when working there that Joint Special Operations Command (JSOC) brings Service Members from all branches to train, work and strategize together. That being said, maybe I am sheltered in some sort of pro-military bubble. I have experienced and seen anti-war protests, but I would challenge that anti-war demonstrations are not not anti- MILITARY, just against whatever current engagement (s) our military is involved in or the idea/idealogy of war itself. I find that organizations and protests that are anti-war are usually very pro-Soldier. They want Service Members and Veterans to be supported, to get the help, money, and benefits they have been promised to them and to be treated humanely. I can definitely stand behind that. All of this build up to say that I was shocked and stunned when I was at an event in Raleigh (state capital of NC) with others from all over NC last week. We were discussing many various topics, but somehow the conversation led to Veterans and Service Members and why NC has such a high concentration of both. Most people there could only identify Fort Bragg, but I was quick to point out that we also have an Air Force Base (Seymour Johnson), a Marine Base ( Camp Lejune), two Marine Air Stations (Cherry Point and New River), as well as smaller locations such as Sunny Point or Elizabeth City Base. The others all nodded and someone made the comment “wow, NC really is a military based state, I can see why we’re called a military friendly state” to which another person replied “I should hope not!” I felt like I had been punched in the stomach. She said it quietly and was shaking her head. I felt my temper going up, and then realized this was not the time or place to engage in a debate, and that as much as I might disagree with her, she was entitled to her opinion. As I sat there analyzing her statement and my reaction (and ignoring what was going on around me) I realized that she probably hasn’t been touched by the military like I have. In my family, you can’t go out to dinner with us, a family get together or similar without the Service Members and Vets outnumbering the civilians. My family aside, living in Fayetteville, I can’t throw a rock without hitting someone that served, serves, or has a family member that serves. I deal with the military on a daily basis. I also deal with disenchanted, broken Service Members and Veterans. You know what? Not one of them has ever uttered an anti-military statement to me. There have been plenty that have been mad at their unit, chain of command, the situation, the war, a specific battle, etc. but no one has ever hated the military (or their branch) outright. Even those that have said in session, out of anger said “I hate the Army” will moments later begin listing all of the good that the Army gave them/caused them to experience. I’m not just talking money and benefits either. The brotherhood, the support is usually the biggest thing they miss when they are out. I write this as a challenger to anyone that thinks they are anti-military or would be ashamed that their state/work/family was associated with the military. Are you anti-military or anti-military state? Are you anti-war? At the least, are you pro-Service Member? Don’t drink the kool-aid (or the Haterade, if you will) without really analyzing what you dislike. I promise to not drink the military kool-aid without also being able to analyze and name some things I do disagree with (which I can). I’ve made it a point not to address all of the recent terrorist killings, police killings and police overuse of power on my blog or social media for the simple fact that I believe that sometimes that can lead to a bigger divide. I will say that I believe that this “all or nothing” mentality is a problem. Not all military is bad, yet it should be questioned. Not all cops are bad, but not all are good either. As my editors will tell you, summaries/endings are my weak spot, so I will end with this quote, from a famous author. That being said, I’m proud of what I accomplished over those four days even if it was not everything I wanted to get done. I am the kind of person that always starts with a giant “to do” list, knowing it might not be possible to get it all done. I know there are others out there that either don’t use a to do list (any accomplishments are a bonus) or have a very realistic to do list. I did accomplish taking 13 hours of CEUs in trauma, and passing their exams, allowing me to sit for the Certified Clinical Trauma Provider exam which I passed on the first try. Its not just the initials that I get to add to my alphabet soup, its the knowledge I got from these courses. I take a lot of Continuing Education hours. I’m required to do 40 every two years, but that’s not the only reason I take them. Some I chose because of their reduced price, their convenience or because friends and colleagues are taking them. This particular set I chose to take because I wanted to sit for the CCTP and I wanted even more information about trauma. Because PTSD is in the forefront with today’s news stories, in the military and frequently trending on social media, it gets a lot of attention. It also gets a lot of funding and research. These two days of classes gave me a whole new way of approaching trauma with my trauma survivor clients and for that I’m grateful but it also gave me a new perspective on PTSD itself. Dr. Genty, the professor, told us not to view PTSD as an illness, but as a brain injury. The reasoning being, once the trauma has effected you, it does damage your brain- it changes how you perceive reality, threats and future traumas. I can totally get behind that statement. I have often used the linear explanation to try to get trauma survivors to understand why they have flashbacks and other symptoms that come out of nowhere. The linear explanation is that our brains like to learn in linear patterns. So if you learn to tie your shoe, as your brain is learning this task, it fires synapses in a particular pattern. Whenever you tie your shoe in the future (even when you don’t have to think twice about it) those synapses will fire. Trauma can’t be contained in a straight line, as it doesn’t “make sense” to our brains. Therefore, it embeds itself all over our brain, and it can be activated by different things. This is why I like the brain injury model. It makes a lot of sense. 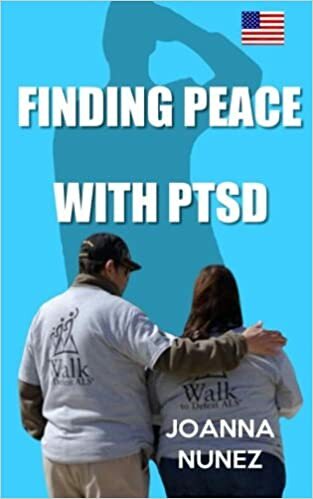 It also gives a new perspective to treatment, making an even further distinction between PTSD and Moral Injury, but that is a post in and of itself. I hope I have made it abundantly clear that I’ve never served and that I have admiration for those that do. The more I work with Service Members and Veterans though, the more I can relate to certain experiences or emotions that they express. I have heard from many SMs and Vets that 9/11 was a pivotal moment in their military careers- it made some join, it made some re-enlist, and it made others (that thought they were finished with their military career) join again. I feel that there is a certain pivotal moment going on for therapists. Unfortunately, it is taking more lives than those that were lost in 9/11. With 22 Veterans a day committing suicide and the inability of the VA to handle Veterans’ needs effectively, it makes me wonder if I am in the right place, career-wise. Don’t get me wrong, I LOVE what I do. I love having a private practice, I love being my own boss, I love the clients I have and working with them. I love my contract job, where I get to work directly with Service Members, Vets and their families “off the record”. Yet I wonder, could I be doing more at the VA? I would like to think I don’t have unrealistic expectations or an overly optimistic viewpoint of what I could accomplish by working there. I have no superhero complex, trust me when I say that I am tired and a bit cynical in my current line of work and I’m pretty sure the VA would make that worse. I remember working for the Department of the Army. I remember the red tape, the stupid bureaucracy, and how many of our policies seemed to hurt the Soldiers more than it helped them. I know that those same limitations would be at the VA at the very least. That being said, I wonder how many former Soldiers, Sailors and Marines (I know, I know, there is no such thing as a former Marine) thought the same thing when they thought about re-enlisting after they thought their military career had ended. They probably loved the freedoms the civilian world offered them. Yet they made that choice, that sacrifice. It’s enough to keep me up at night. Right now, I deal with it knowing I’m doing the best I can with the clients I have and the opportunities that are afforded to me. I also write. I write to let people know about the horrors that these Service Members and Veterans face and how they aren’t getting the help they need. For now, that will have to be enough.